I pulled out the Hero Arts Layering Peacock and coordinating stencil again. 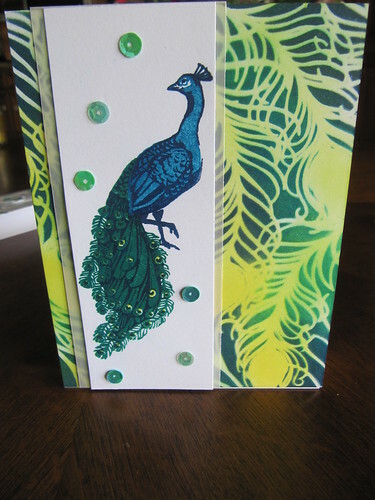 I also used the Hero Arts Peacock ink set for this card. I really love how detailed the stencil and stamp are. 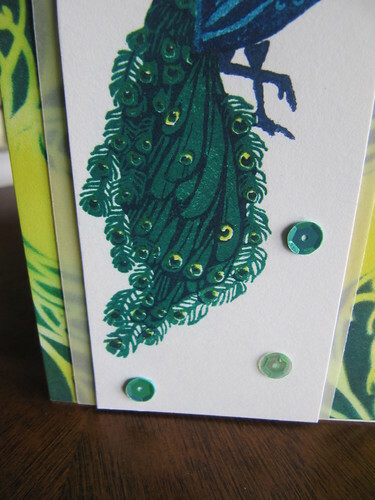 It makes an elegant card quickly and easily. I left the sentiment off of this one. I want to add it on a banner eventually but I really felt this card could go any way that suited me--birthday, thank you, encouragement--lots of options.